Binoculars are a set of two identical glasses or mirror symmetrical telescopes which are aligned and mounted side-by-side, together. These mirrors point at the same direction which allows the viewer to use both his eyes when viewing far-away objects. Most of the binoculars can be held with both hands. As compared to a monocular telescope, binoculars provides a three dimensional view. This is possible by providing two different views, from slightly different angles to each other of the viewer's eyes. It produces a merged view which gives a sense of perception when looking through it. If we start to look at the history of binoculars, we find out that the first binoculars we know were actually developed from the earlier telescopes. The telescopes were instruments which were and still are used to look through one eye. If one can think about it, then the simplest form of binoculars are two spy glasses that are used in the telescopes, put together and inter-connected by a bridge. The first type of binoculars was created by putting two spy glasses together and was known as the Galilean binoculars. Since the time the telescopes were invented way back in the 17th century, the idea of creating something like the binoculars has been explored time and again. The earliest binoculars which were created used the Galilean optics which means they used a convex lens and a concave eyepiece lens together. Though this design provided an erect image of the subject, but a main disadvantage of such a design was that it provided a narrow field of view. The invention of the first proper Galilean binoculars is credited to Johann Voigtlander from Vienna, during the 1820s. He was the one who also added the eye tubes to the binoculars, that was used for proper focusing. During the 1840s and 1850s, the Gallilean binoculars became a famous piece of accessory among the people and subsequently these started to sport some elegant glasses and used coverings such as pearls, enamel, silver, gold, bone and colored leather. This type of binoculars was invented by the Italian optician Ignazio Porro and hence it is named after him. He patented this technology in the year 1854; this was the technology that was further refined by makers like Carl Zeiss in the 1890s. The Porro Prism binoculars use, as the name suggests, Porro prism in a double prism Z-shaped configuration to show a proper image of the subject. The use of Porro prism also resulted in the production of binoculars that are wide, with objective lenses that are well separated from each other. . Since the Prism binoculars were better than the Gallilean ones in every sense, the Gallilean binoculars started to lose their popularity. Some makers even tried to fool the public by disguising some of their Gallilean binoculars as Prism binoculars. The next type of binoculars to emerge was the roof prism binoculars. These appeared during the 1880s. The design of the Roof Prism binoculars is credited to Achille Victor Emile Daubresse. 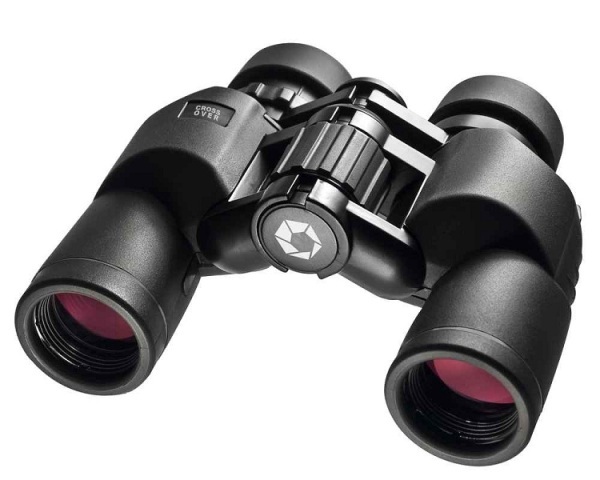 This type of binoculars either uses the Abbe-Koenig prism which is named after Ernst Karl Abbe and Albert Koenig or the Schmidt-Pechan Prism which was invented in 1899. Today, there are many forms of binoculars available worldwide. Various advances in technology have made it very easy for the average man to get one and use it to his heart's content. These can be used for various purposes like bird watching, viewing distant objects, etc. There are some even more complicated binoculars available with night vision technology, digital display read-outs and even a digital camera.